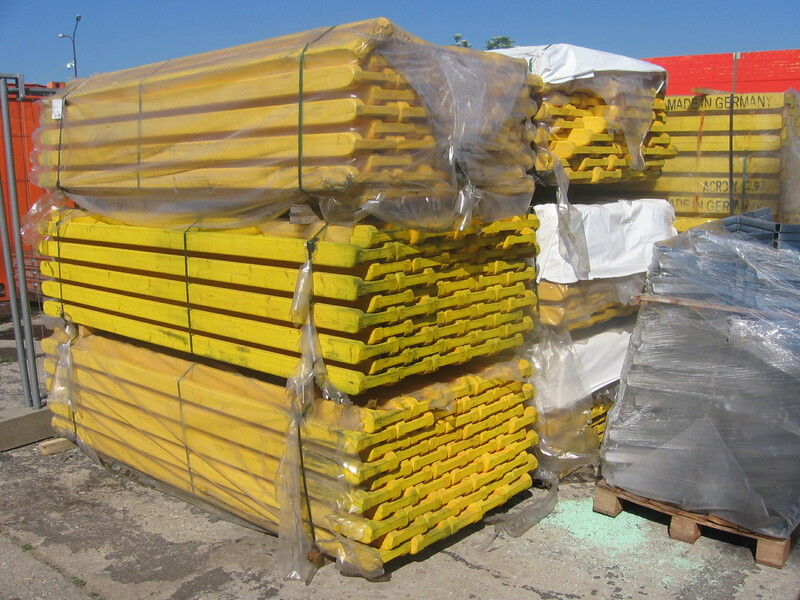 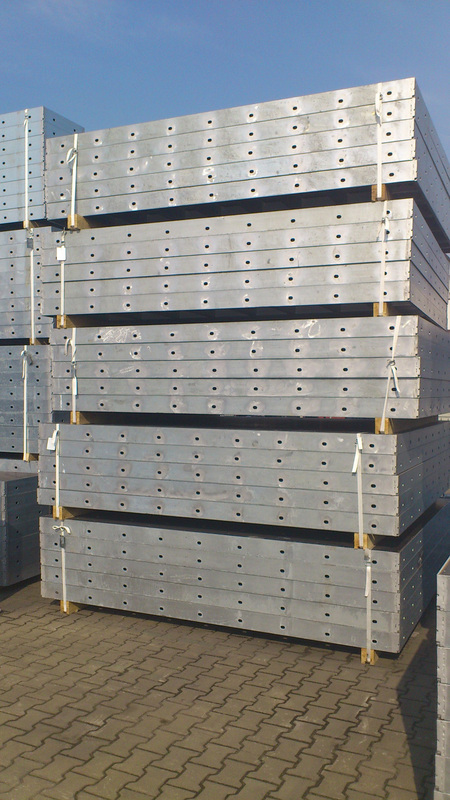 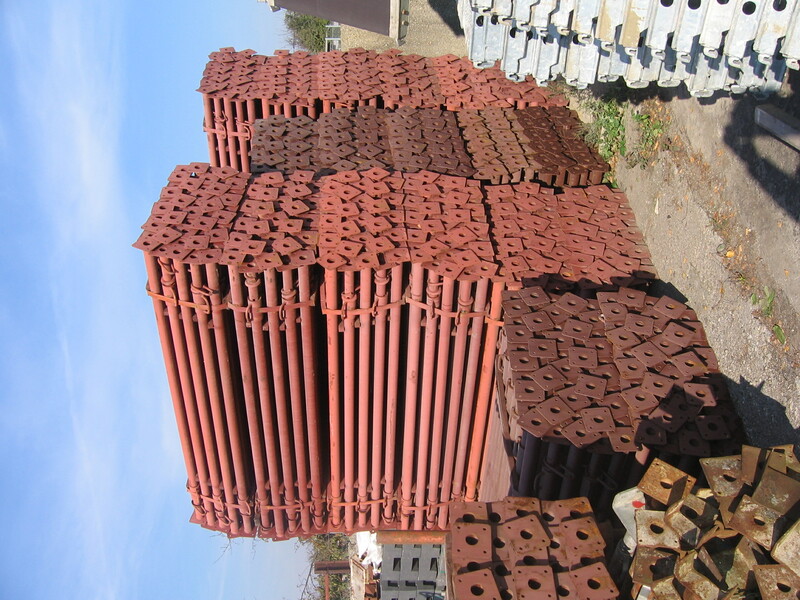 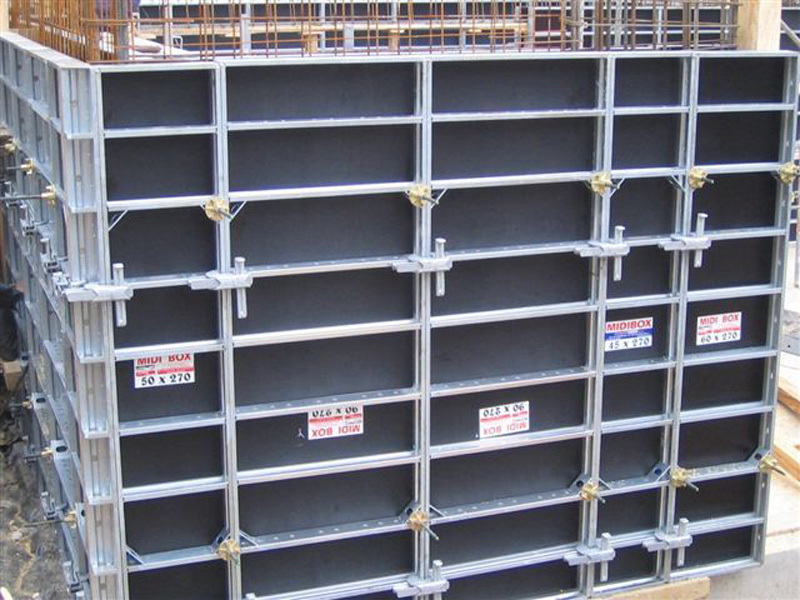 Slab formwork system, which we offer for sale and rent, also includes formwork props with length from 2.20 m to 4.00 m. The length of the H20 beam ranges from 1.50 m to 5.50 m. It is also possible to rent or purchase shuttering plates, trivets, forks and retaining head. 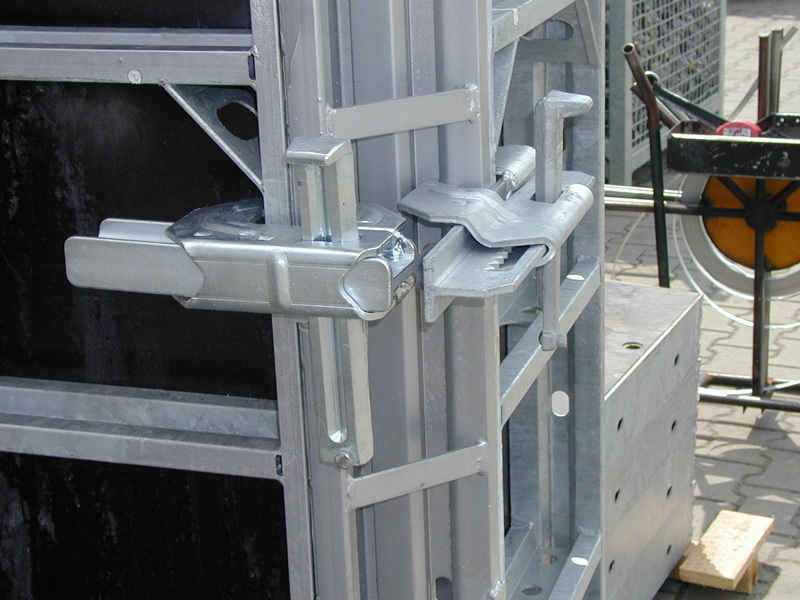 This system is very popular for its easy installation and reasonable price as well as for its complete safety for people working on site. 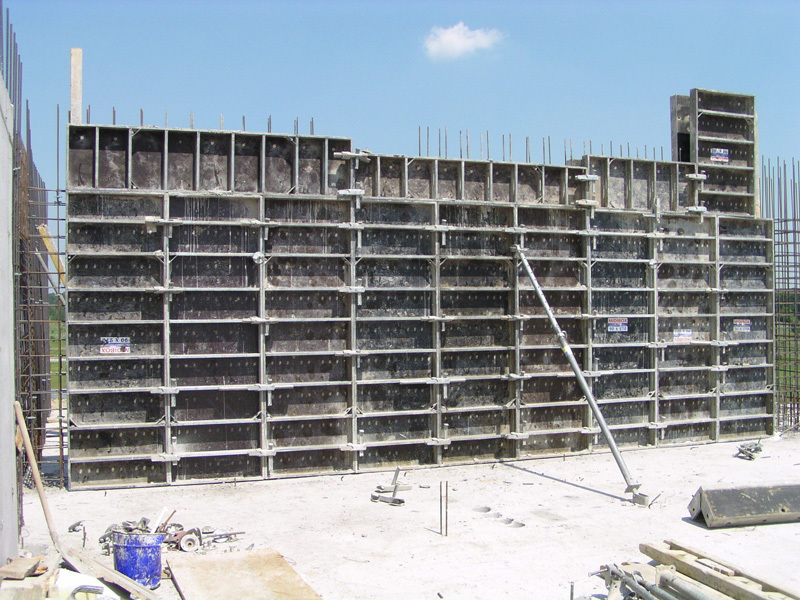 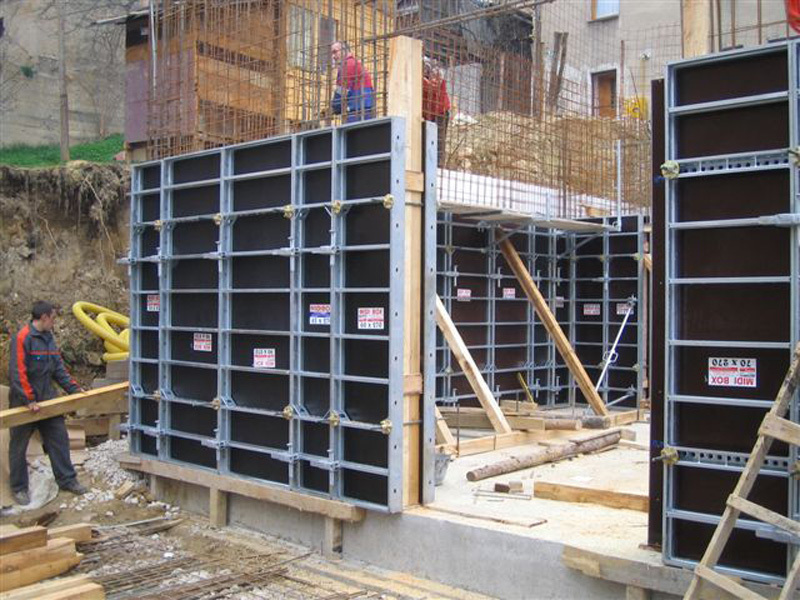 Wall formwork system consists of two kinds of formwork / MIDI BOX and MIDI BOX PLUS / by ALTRAD company. 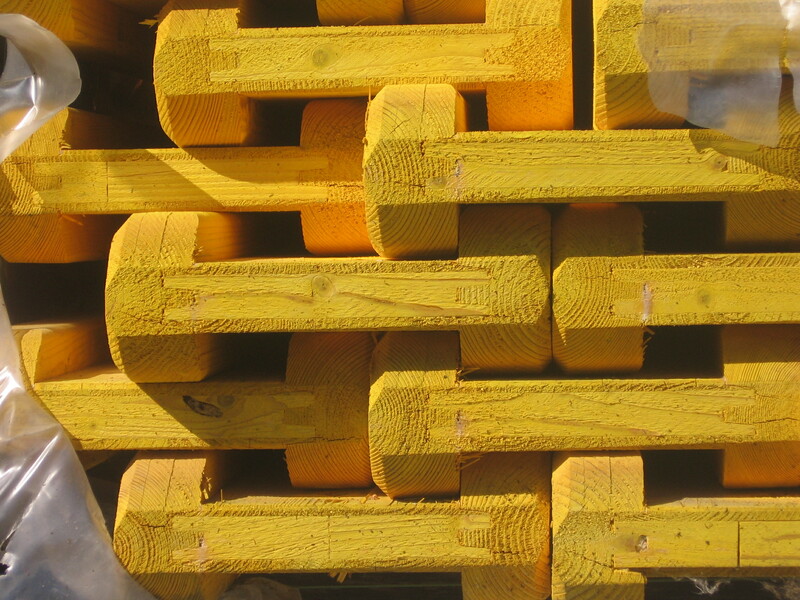 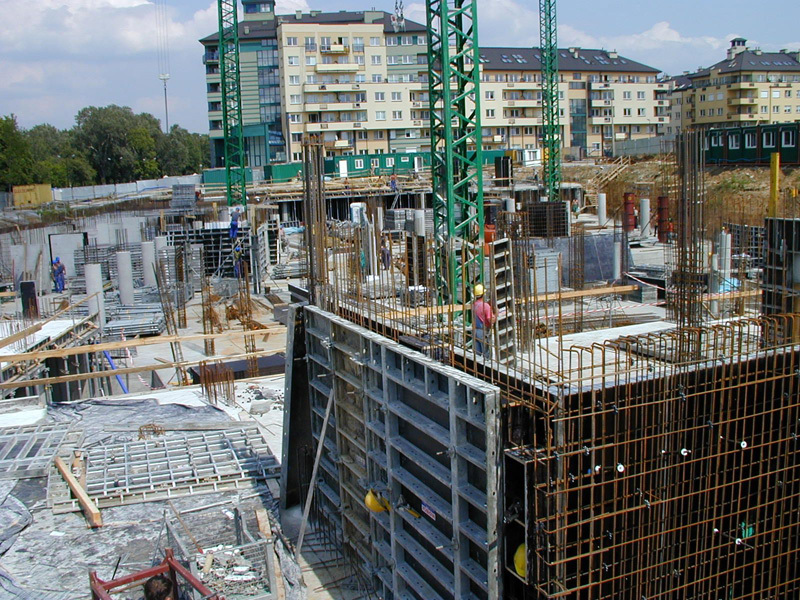 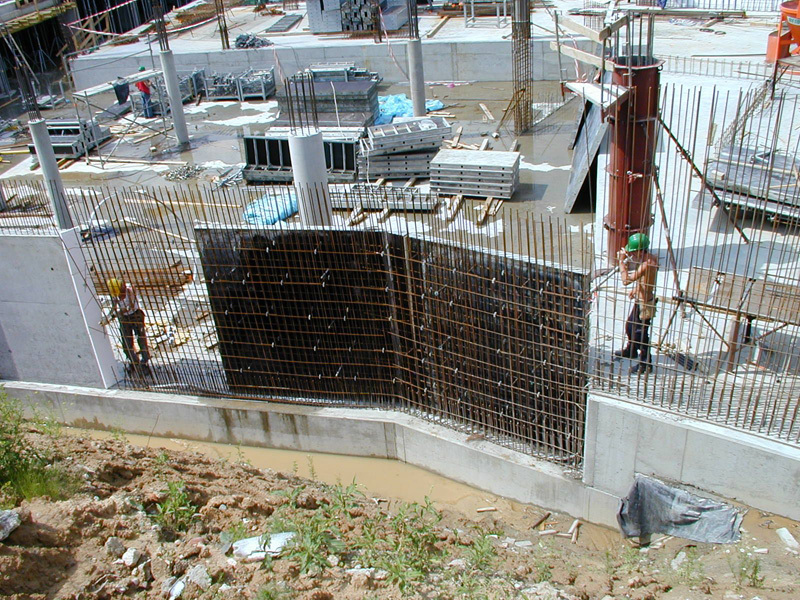 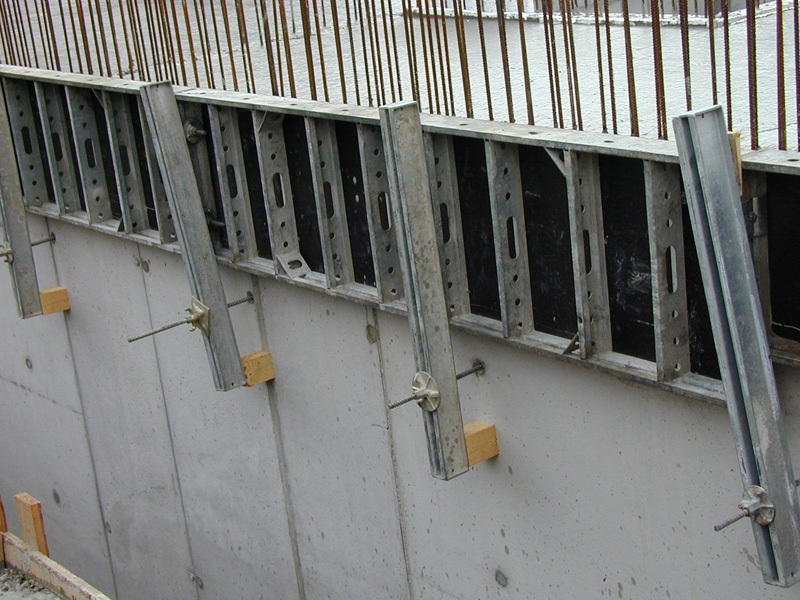 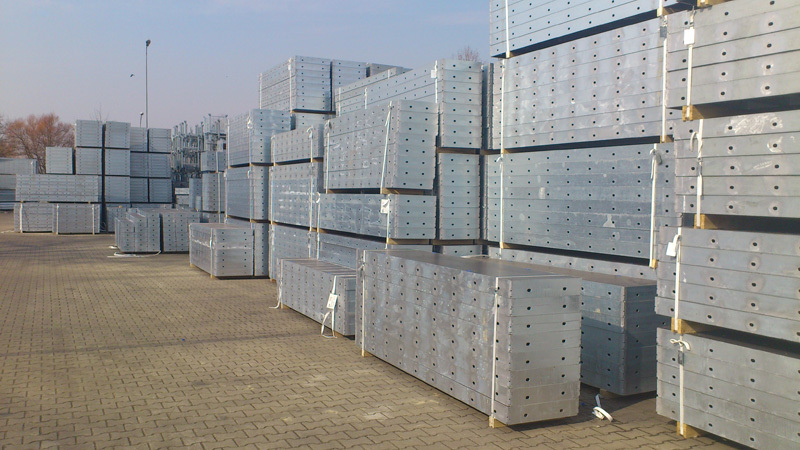 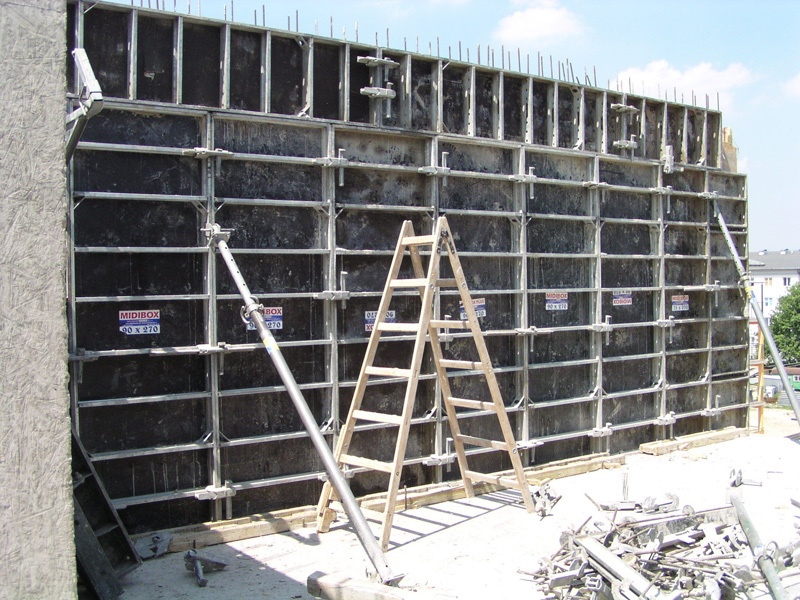 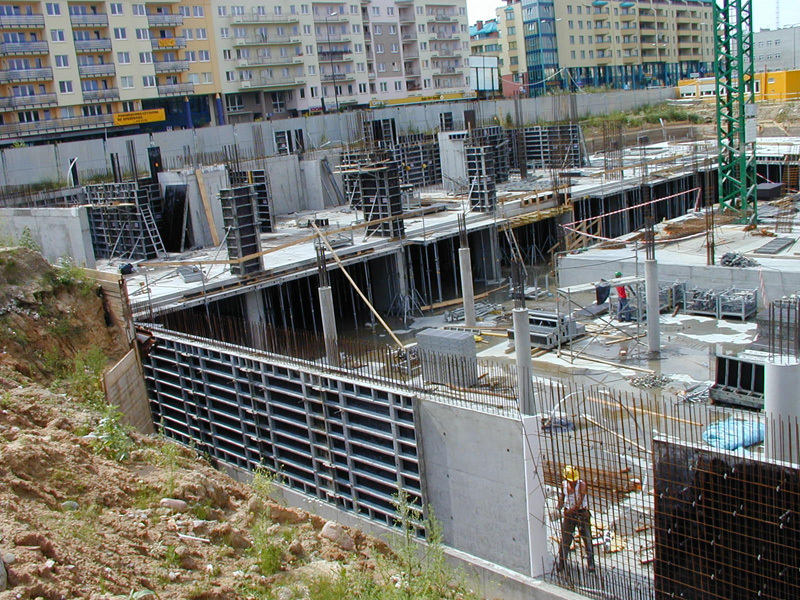 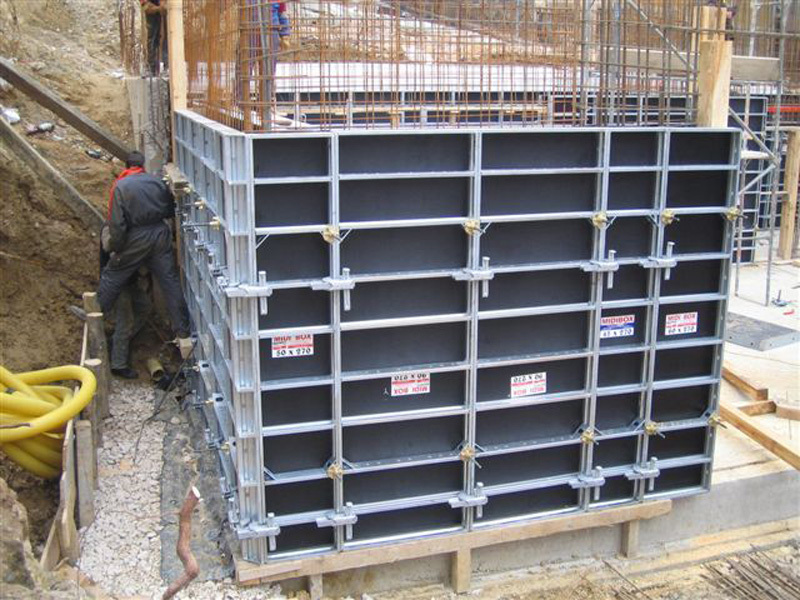 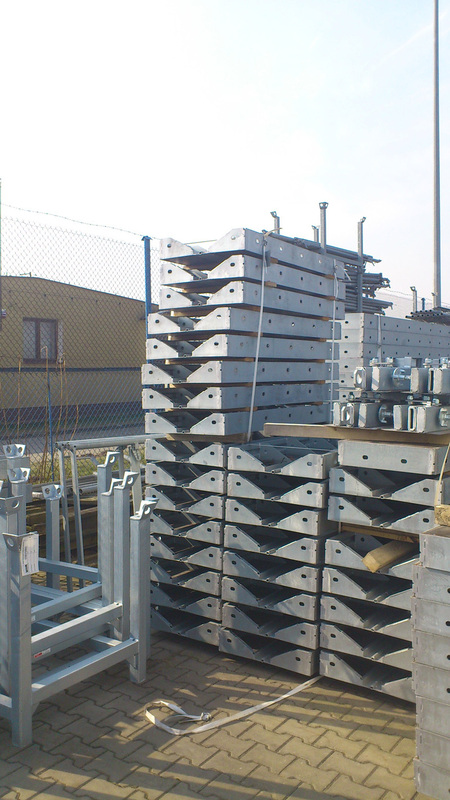 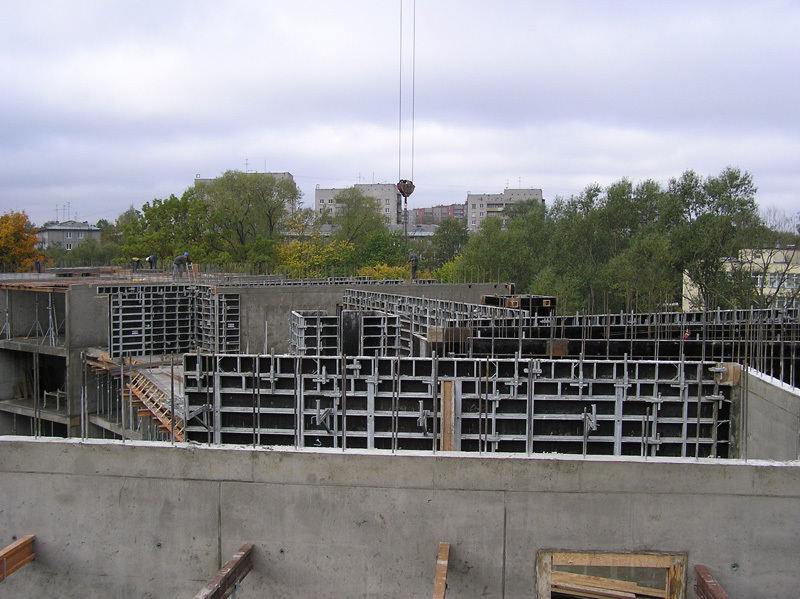 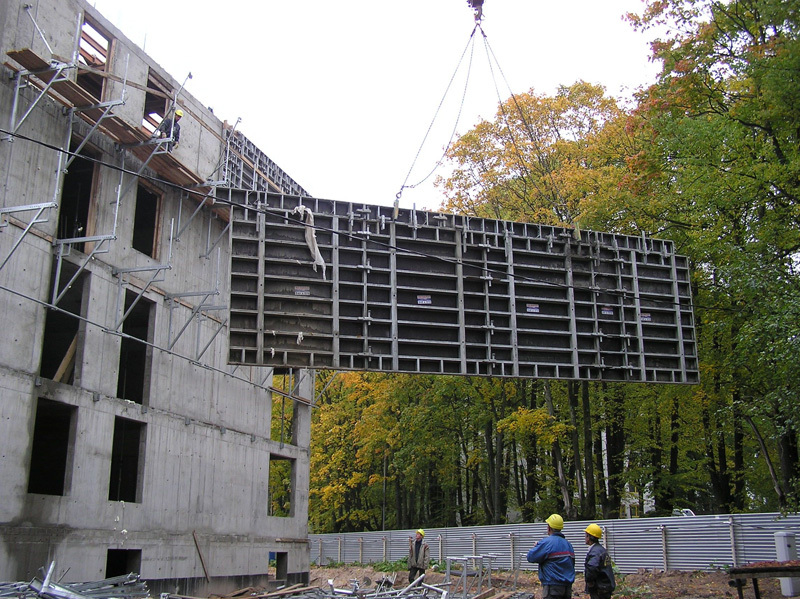 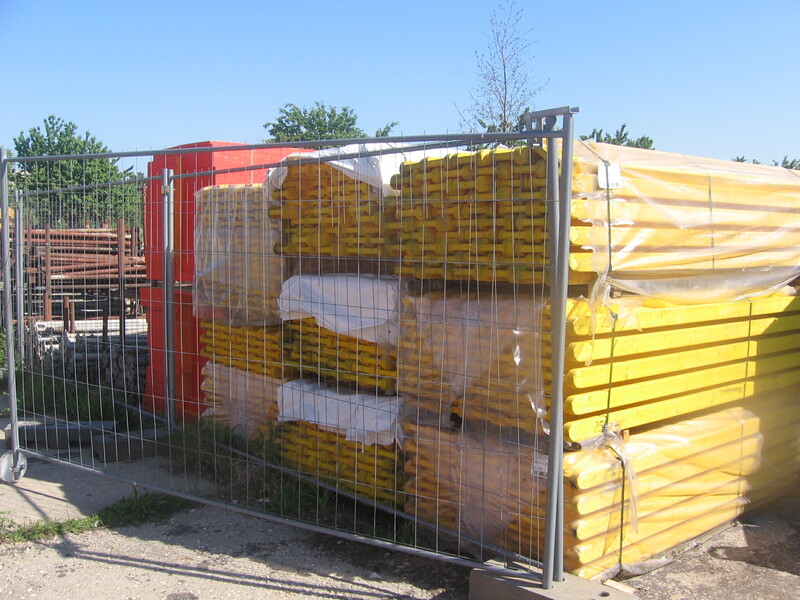 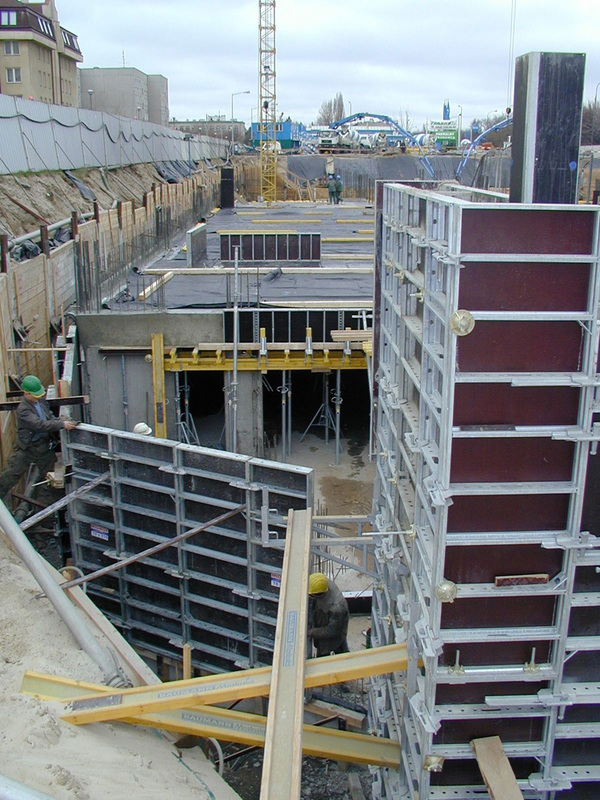 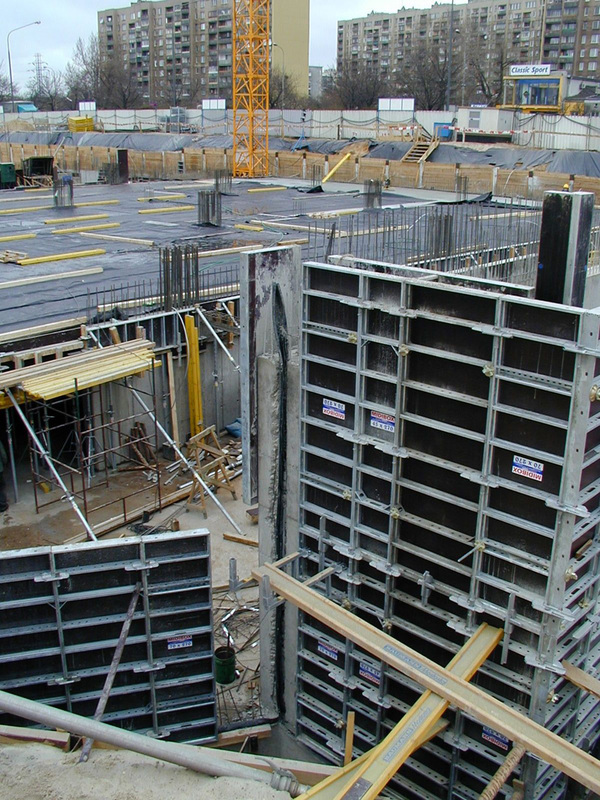 ALTRAD ranks among the leading European suppliers of wall formwork. 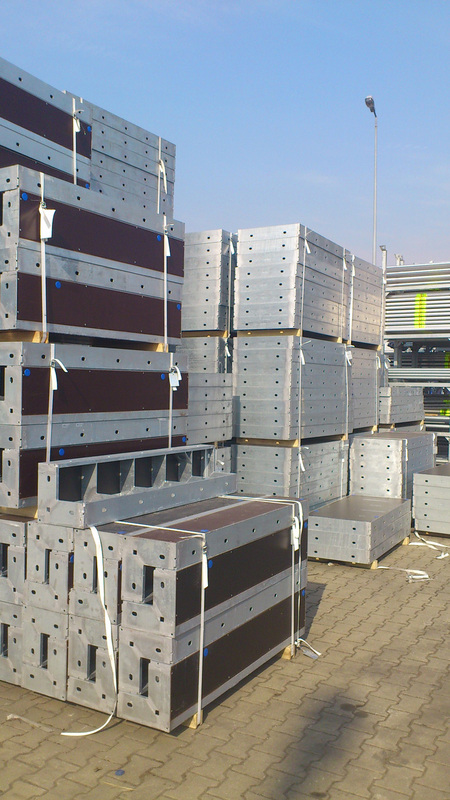 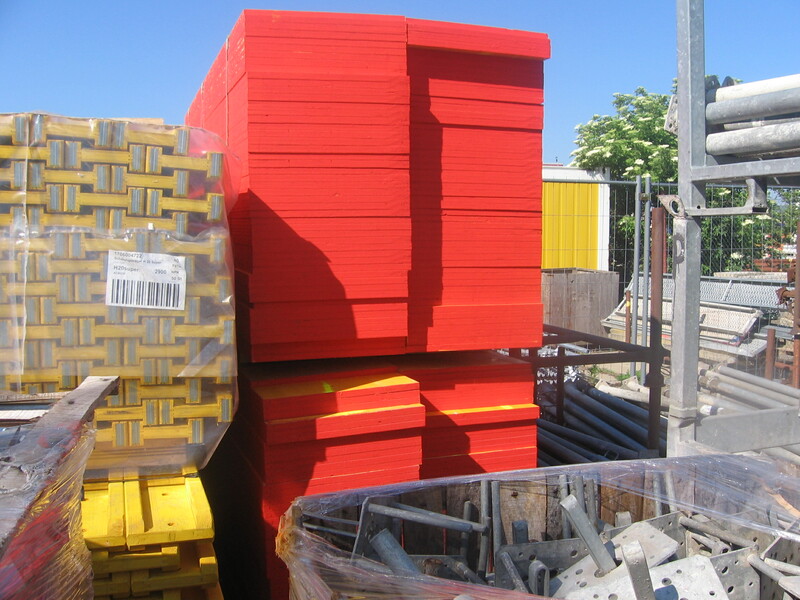 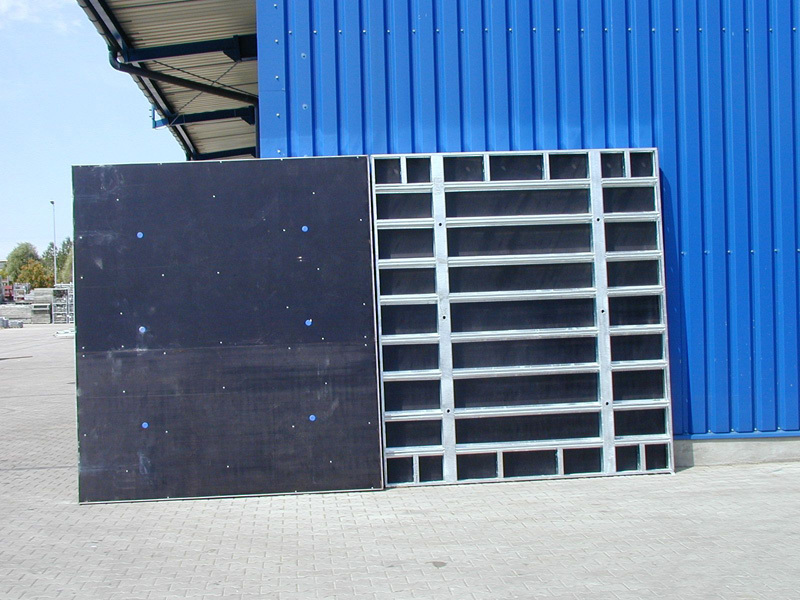 Wall Formwork MIDI BOX and MIDI BOX PLUS are fully compatible in normal operation.. 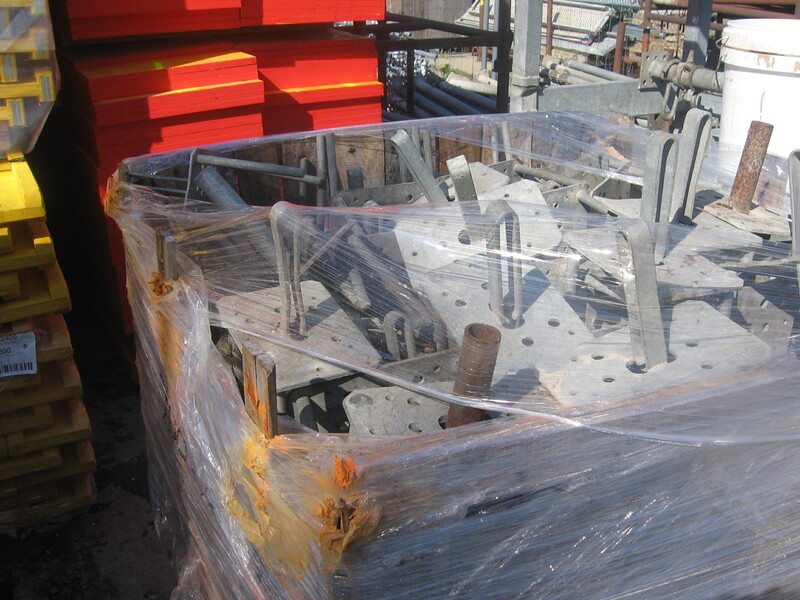 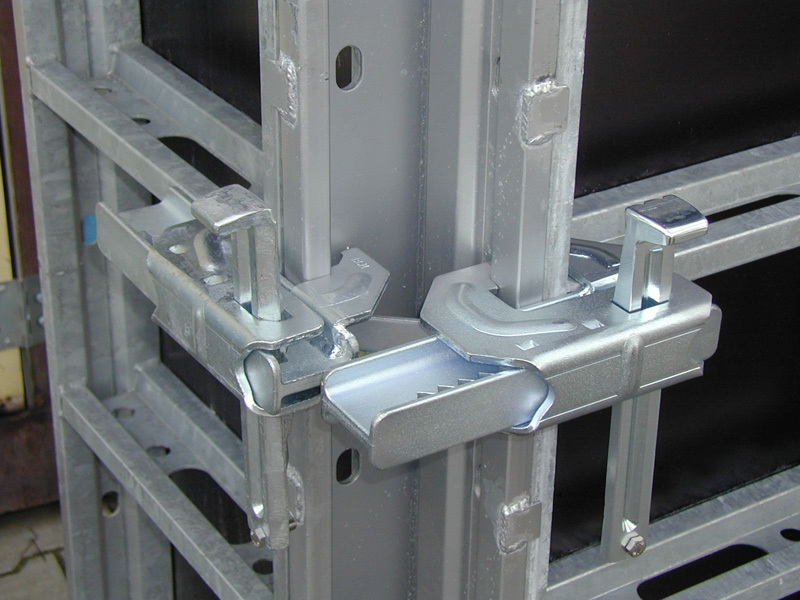 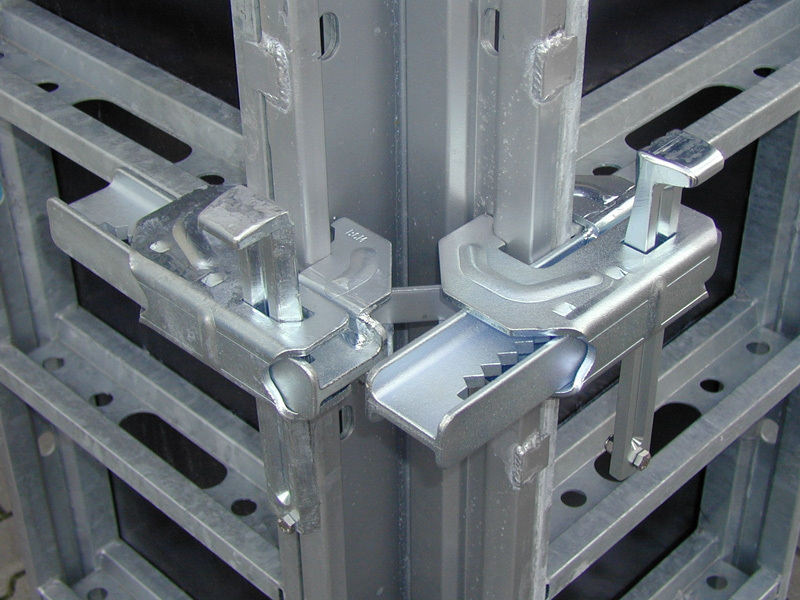 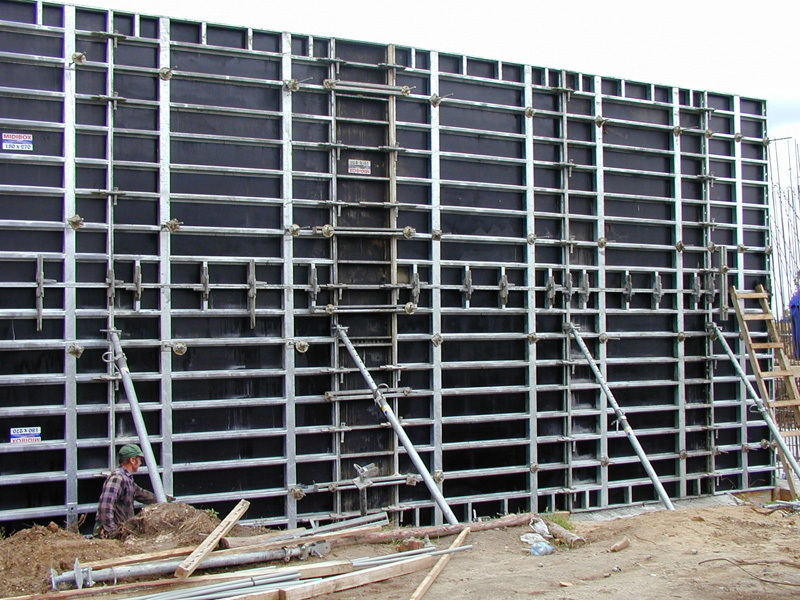 Both systems are distinguished by their quality of steel components with anti-corrosion layer ... 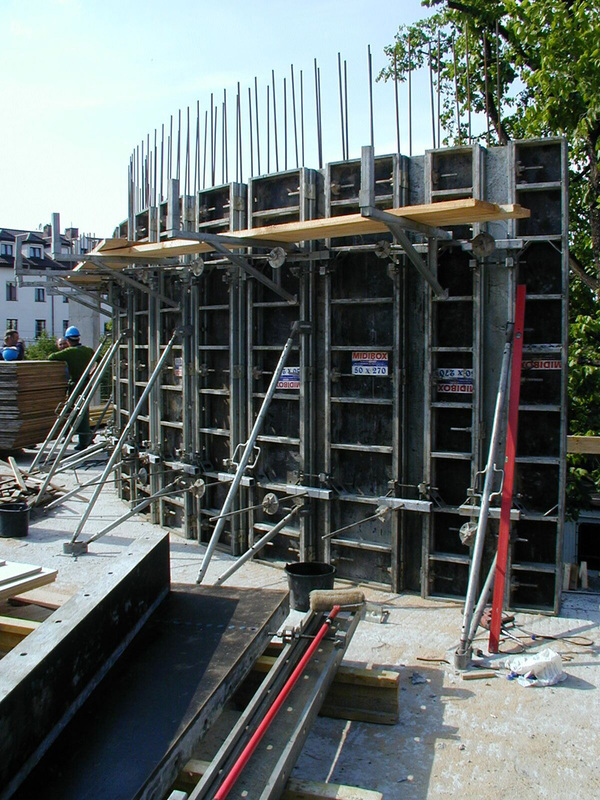 The MIDI BOX system, individual parts of the wall formwork are designed to not require special building work .. 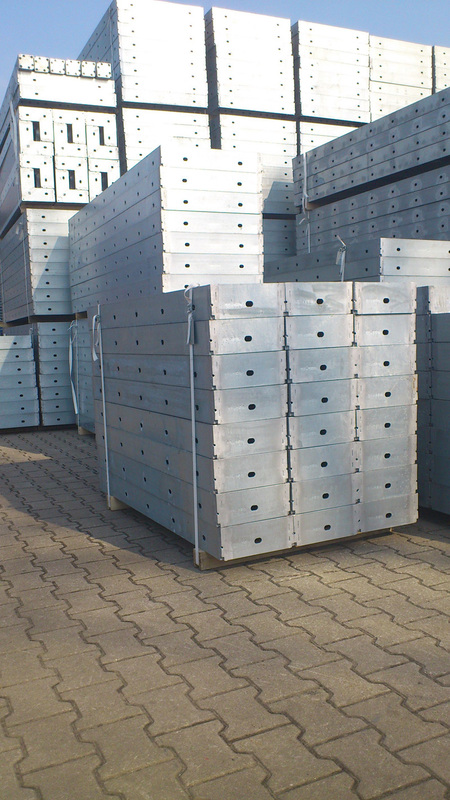 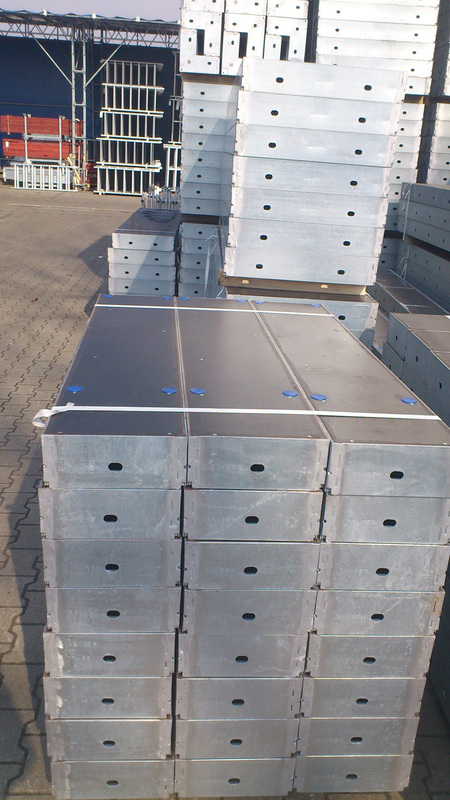 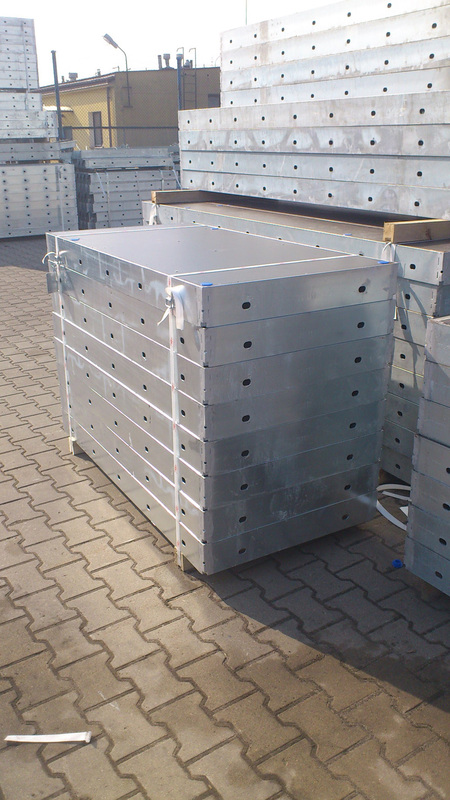 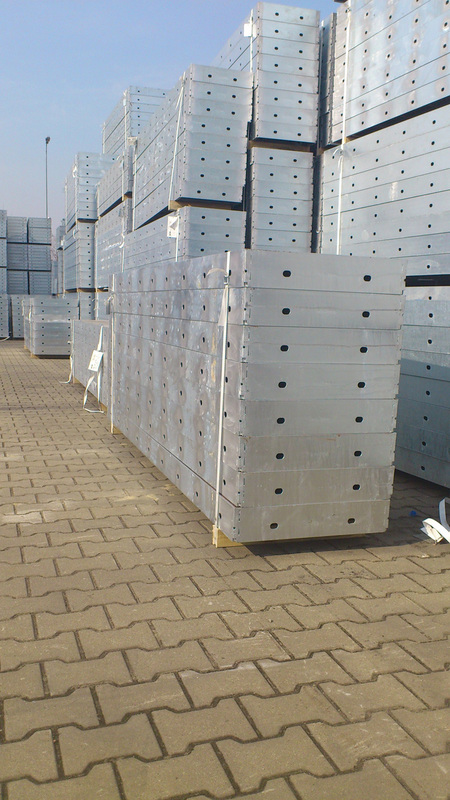 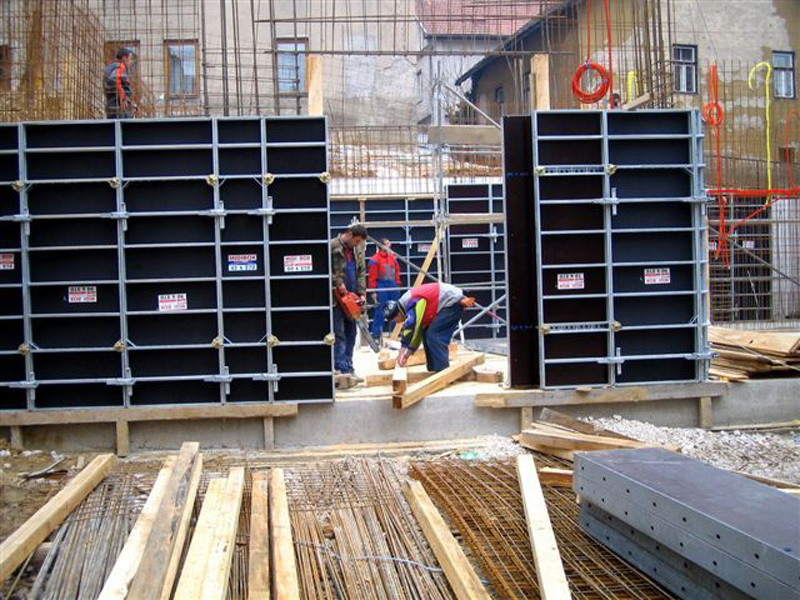 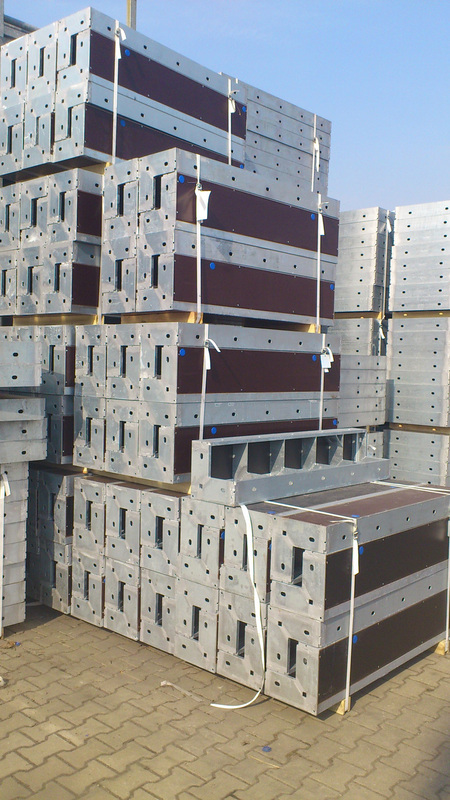 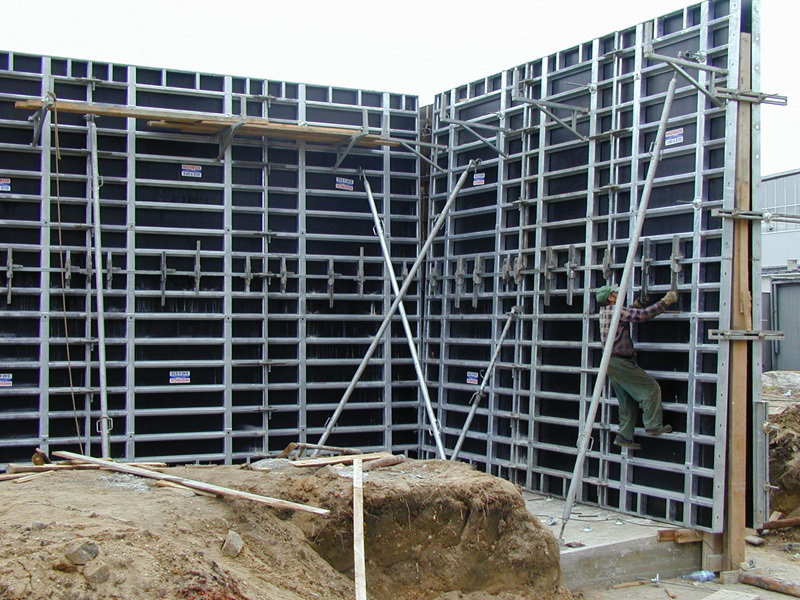 The optimal combination of all the elements of the formwork provides a number of formwork components with a width from 30 cm to 90 cm and a length of 150 cm, 270 cm and 300 cm .. Wall formwork MIDI BOX belongs to the easy installation group, it is not necessary to use a crane for the installation. 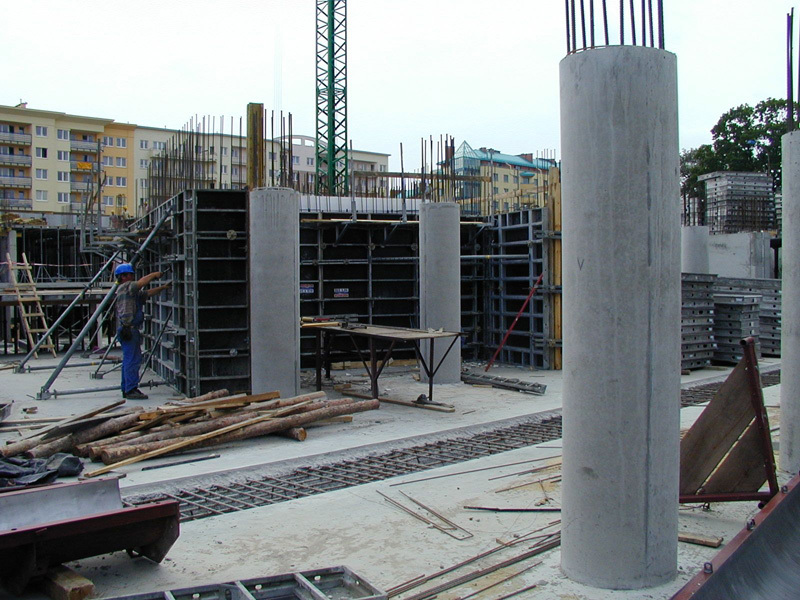 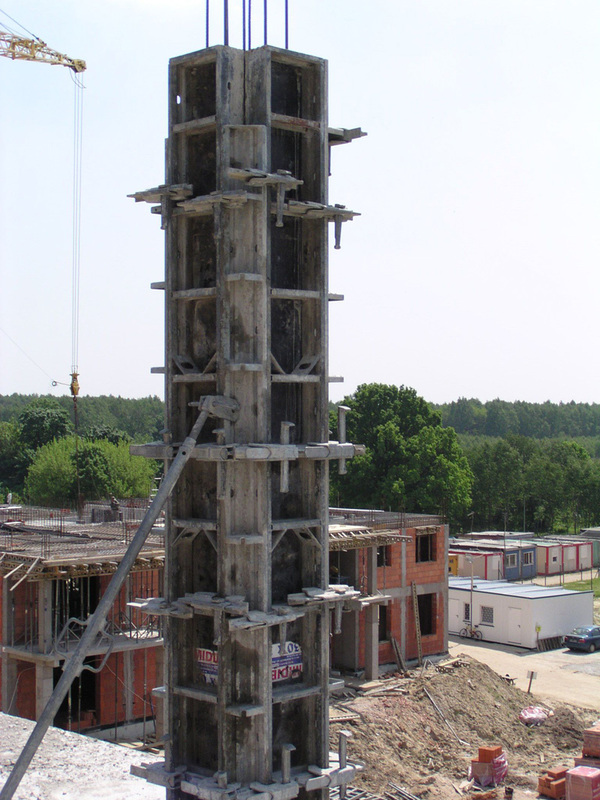 Operating pressure of the concrete is 60kN/m2 for the use without extensions and 55 kN/m2 for the use with extensions. 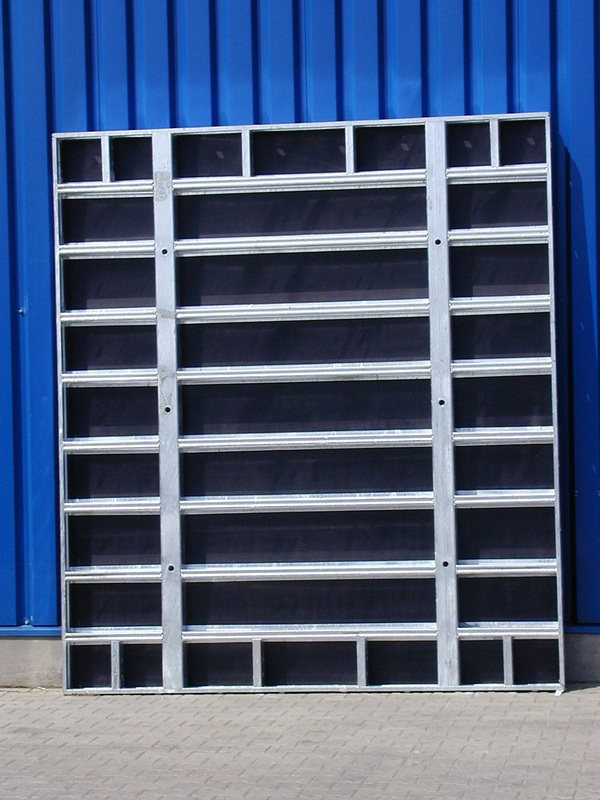 MIDI BOX PLUS system is known thanks to its modular design, quality materials and manufacturing of all the elements that are easy to maintain and is designed for repeated installation without damaging the individual elements.. MIDI BOX PLUS system is designed for concrete pressure of 80 kN/m2, separate parts have size of 240 x 270 cm, and 75-25 -240 x 300 cm.